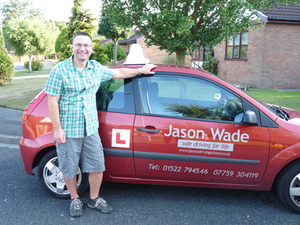 My name is Jason Wade and I am a Driving Standards Agency, Approved Driving Instructor,and I am a friendly, patient and understanding instructor. 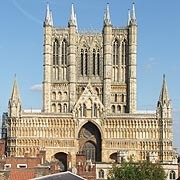 I offer driving lessons in Lincoln and the surrounding area, including Branston, Metheringham, North Hykeham, among others. All tuition is done on a one to one basis and there is never another pupil in the car with you. I can pick you up from wherever you request and drop you of at a destination of your choice. I am able to book lessons in the evening, after work or school, and I also carry out lessons on the weekend. As well as offering driving tuition to learner drivers I can also offer you Refresher training and additional motorway training to the qualifed driver. I also participate in the Pass Plus scheme for newly qualified drivers. My tuition car is a 1.0litre Petrol, Hyundai i30, it has power steering, (for easier manoeverability), and air conditioning, (for comfort in the hot summer months). To drive a motor car you must be 17 years old unless you are disabled, in which case, if you receive higher rate disability allowance you can learn to drive at 16 years old. To become a qualified full licence holder you must pass both the Theory Test (including the Hazard Perception Test) and the Practical Driving Test. These test are both conducted by The Driving Standards Agency (DSA) which is an agency of the Department of the Environment, Transport and the Regions. Driving lessons can commence before either test is attempted but the Theory Test must be passed before you are allowed to book a Practical Test. The Theory Test certificate lasts for 2 years during which you must pass the Practical Test or re-sit and pass the Theory Test again. Struggling to pass you theory test, or haven't got round to studying yet! Theory Test Pro gives you that essential practise at the multiple choice questions and hazard perception tests, that will help you to pass the theory test first time! When you join Jasons Driving School you will get unlimited access to Theory Test Pro, to practise as much as you like. If you follow this link to Theory Test Pro you will be able to see the potential this site has to enable you to pass your Theory Test FIRST TIME. Follow this Link for free access, to online theory test questions and Hazard Percepion tests. Please have a look at the new News link at the top of the page for all up to date information from the Driving Standards Agency. Follow this link to the News page to obtain more information from the DSA about Independent driving, which will be become part of the driving test from October 2010. If you are having problems, or require more information then follow this link to the Independent driving page of the Direct Gov website. * This offer is for new pupils who have never driven before and the first lesson must be for two hours, with the first hour free. New pupils to Jasons Driving School only.